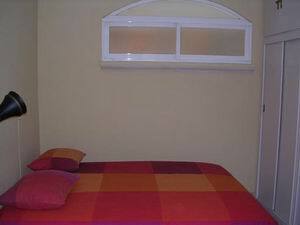 This self-catering apartment is located in Calle Mayor, in the very centre of Madrid. It has a floor area of 60 square metres, 1 bedroom with double bed, lounge with double pull-out sofa-bed, bathroom and fully-equipped kitchen. 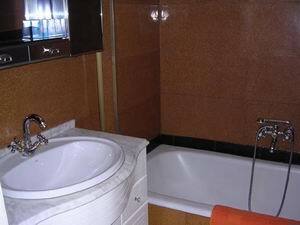 It is located on the 6th floor of the building, which has an elevatror / lift and concierge. The surrounding area has a wide variety of restaurants and shops. 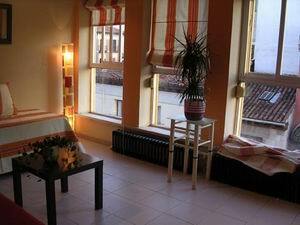 The apartment has been recently renovated, is tastefully furnished and has wonderful views from the living room. 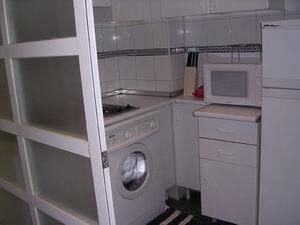 It is suitable for up to 4 guests. 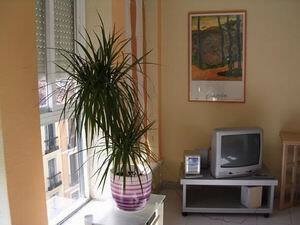 The apartment is situated right in the centre of Madrid, just a few meters from Plaza Mayor and the most central square, the "Puerta del Sol". 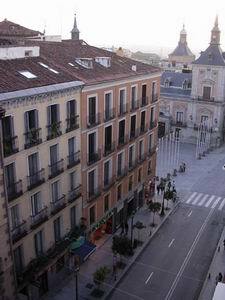 It is within walking distance of the Royal Palace, Opera Theatre and Almudena Cathedral. The nearest metro station is Sol (lines 1, 2 and 3).